At HeLT we are publishing consultant specialists. We apply more than two decades of experience in providing publishers and media companies with branding, actionable market research, and resulting marketing initiatives that promote awareness and growth. We have specific expertise in the religion/spirituality, leadership, and business categories. 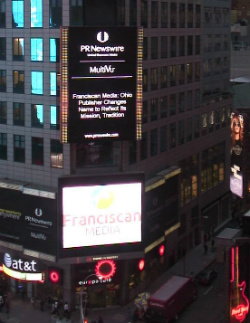 Publisher and HeLT client Franciscan Media have press headlines on their 2011 company rebranding broadcast in Times Square. See our publisher branding portfolio, with a before-and-after presentations of recent projects, or ask to see other publishing industry examples from our archives. HeLT will also work directly with your successful authors who have the desire and the discretionary income to better support their books and offerings. We will help these authors to more strategically define their brand persona and build their author platforms. 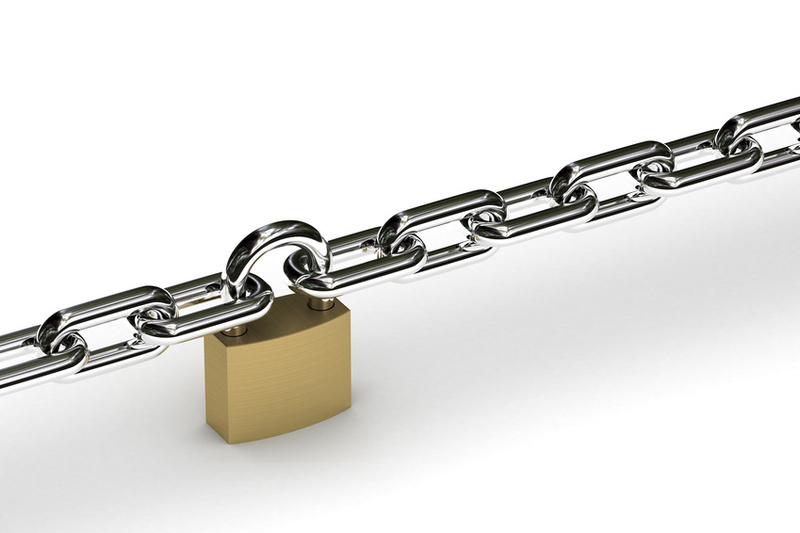 This includes creating and maximizing their social media and website properties. For more, see Special for Authors. We have extensive expertise in the religion category—particularly the Catholic market—having worked with this customer base for nearly twenty years. 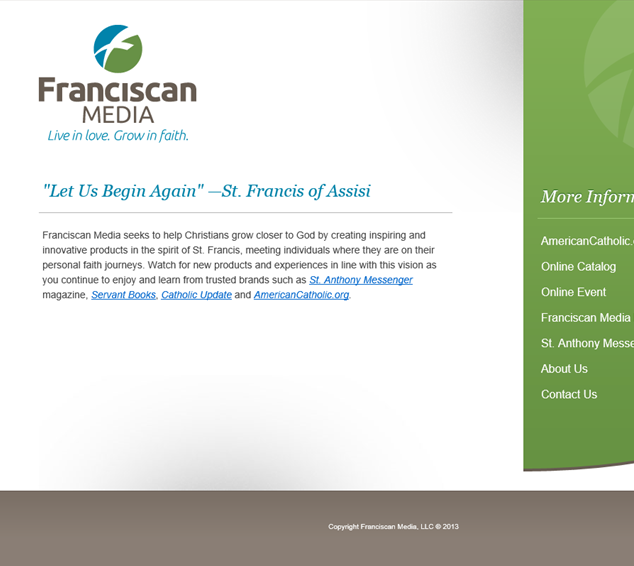 We offer special consulting and customer insight into the mindset, needs, and drivers of this audience, as well provide branding and improved product positioning for your Catholic and Liturgical market offerings.